Sunday was very windy which turns out to be terrible for spotting little birds like the Kinglets, Warblers and Vireos that overwhelmed us on Saturday. 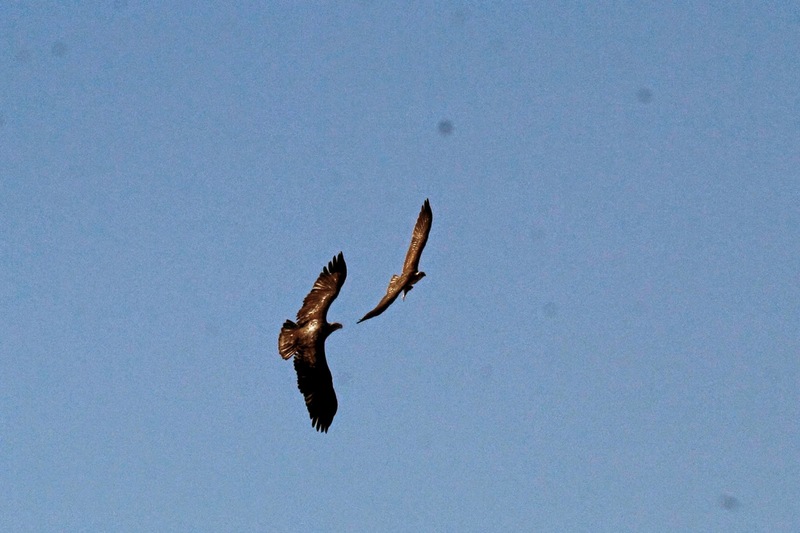 The wind is good for raptors though. We headed out to a few new sites looking for some rare flycatchers that were reported but didn't see any of them. We did manage to have front row seats to a mugging at the old Magnesite Plant on Cape May Point. 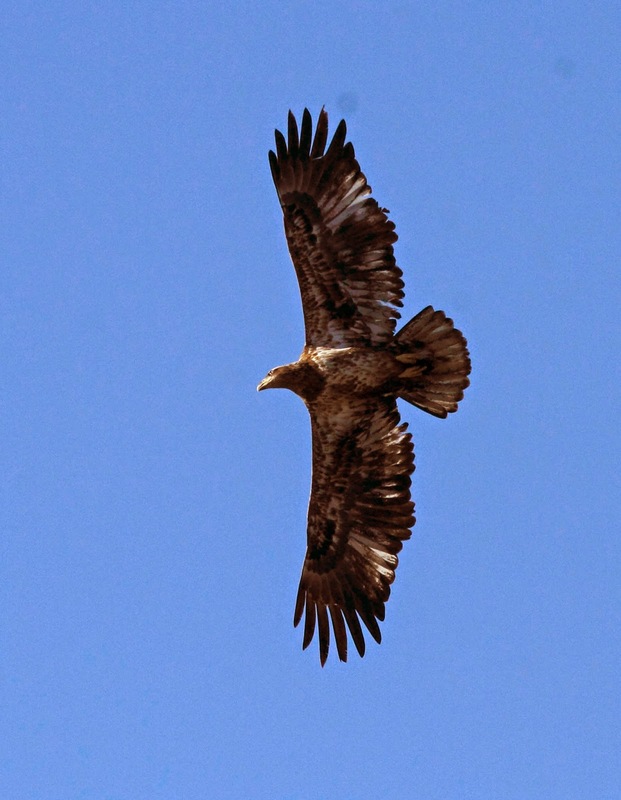 It started with this 2 year old Bald Eagle soaring directly above us which drew "oohs and aahs" from the gang. 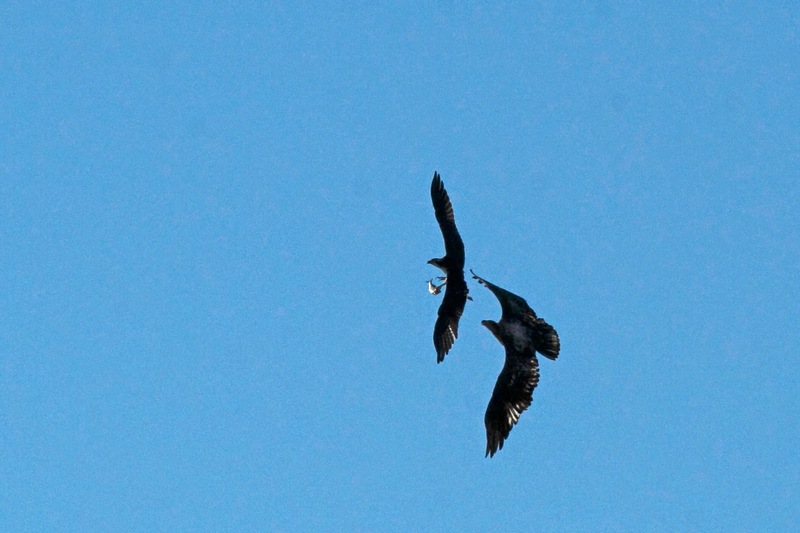 The reason for the chase became obvious once the Osprey dropped the fish that it had in its talons. 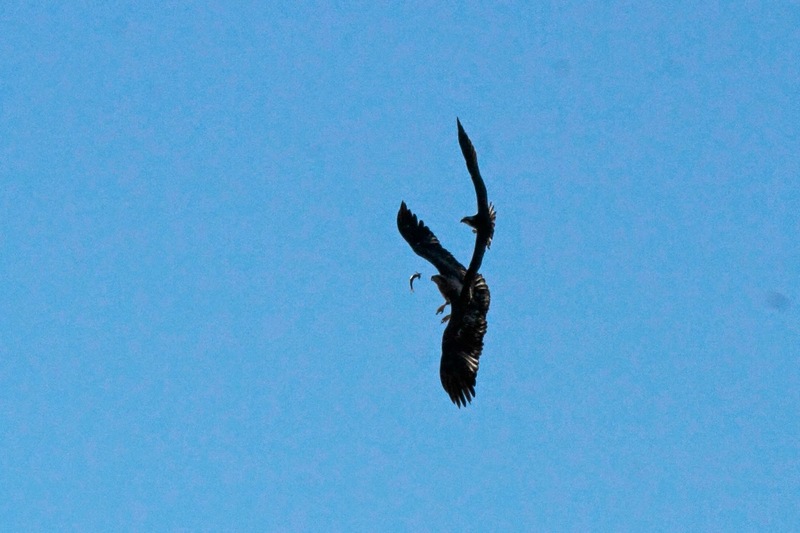 The eagle locked eyes on the fish. 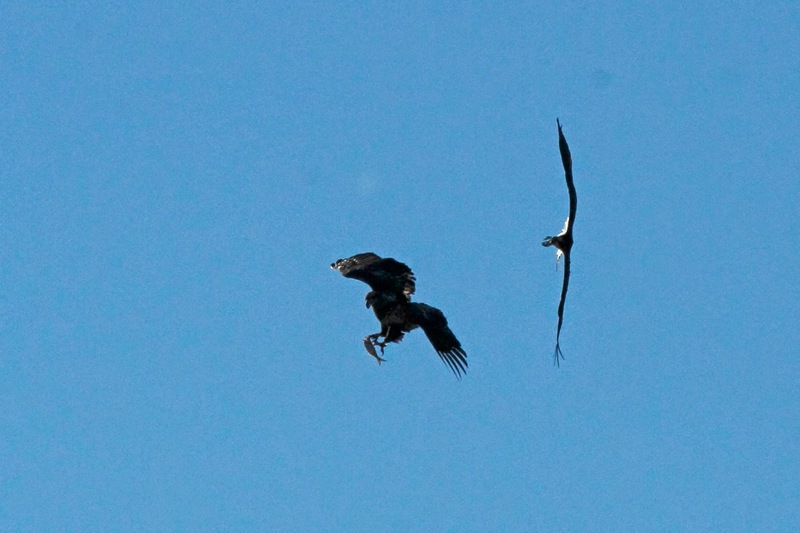 The eagle made no mistake - snatching the fish out of midair while the Osprey peeled off and headed back to the bay. We can only imagine how the poor fish felt . . . however, it's doom was inevitable. 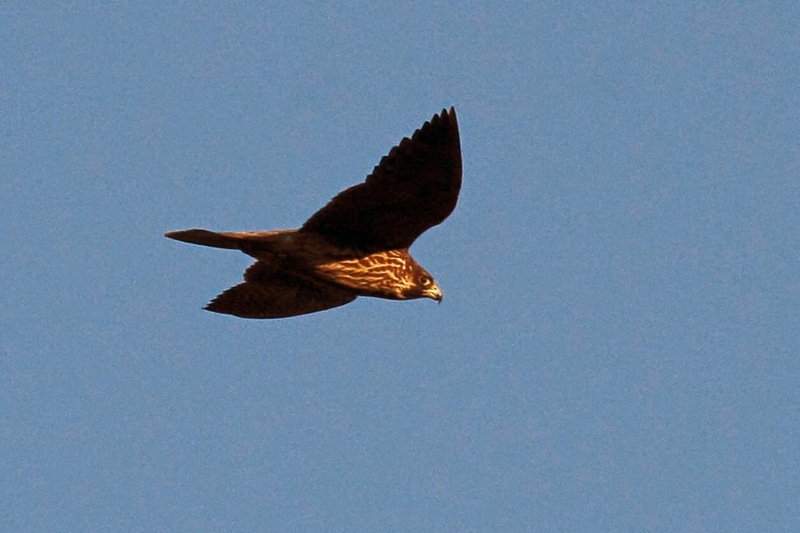 This Peregrine Falcon cruised past us looking very menacing. 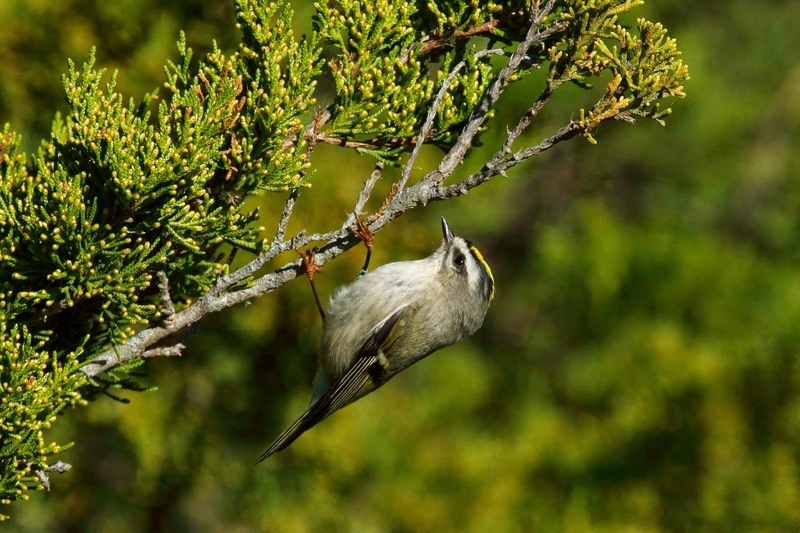 The afternoon was much less dramatically for me, Roxy and this Golden-crowned Kinglet. 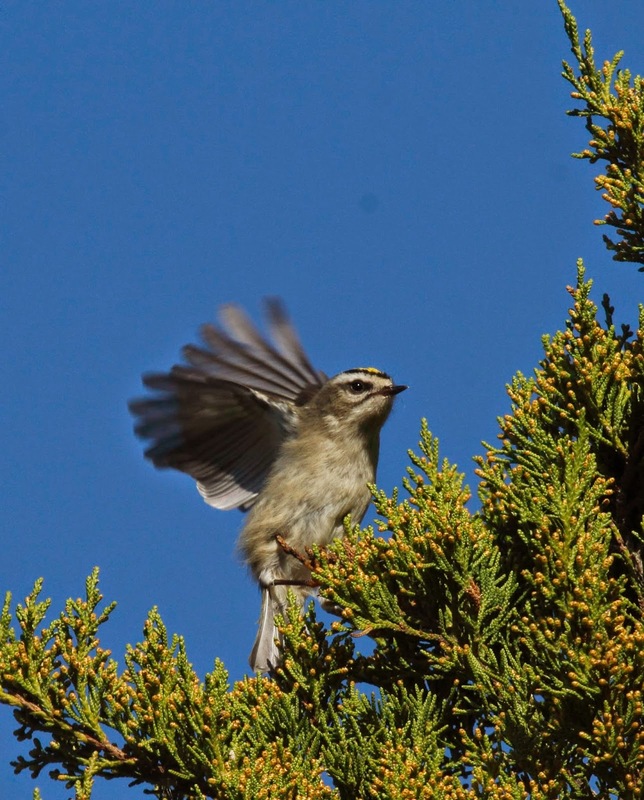 Kinglets like to flutter around and pick bugs from shrubs. I caught this mid-flap shot. You can see the golden crown in this typical pose. Kinlets like to hang under branches to look for bugs. Check out the orange feet too. We ended the day at Josh's annual pumpkin carving party. My pumpkin is in the middle. It is supposed to be a sunrise behind clouds. It would appear that you have a third career option!